The new rules have been expanded to include all transporters operating within the state. Varying the NSW General Carriers Contract Determination (GCCD) will involve detailed changes to the way contractors and owner-drivers operate, the Australian Road Transport Industrial Organisation (ARTIO) NSW advises. The ARTIO NSW is planning briefings with other state industry organisations to advise on the likely impact of the changes on July 20. So far it has explained to the industry that the determination has been varied to broaden the scope of obligations for principal contractors and the geographical area of application. 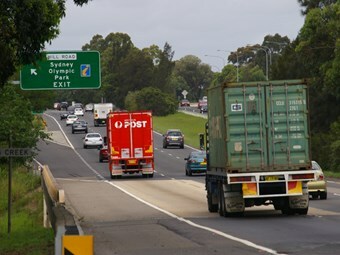 The new contract determination extends coverage of principal contractors and owner-drivers throughout NSW and cancels prior exemptions to sectors such as furniture removals, refrigerated transport, cash in transit and pathology couriers (in vehicles less than two tonnes). The decision is part of the first stage of NSW Industrial Relations Commission proceedings in the matter covering "non-rate issues" such as cartage rate schedule, record keeping and vehicle painting. Issues related to payment rates, including a potential revision of hourly and kilometer rates will be covered in the Stage Two of the proceedings later this year. The new rules have been expanded to include all transporters operating within the state, whether NSW-based or otherwise, who are not covered by any other determination. It is big move from the original determination that only covered the County of Cumberland (Sydney metropolitan area) or those operating within 50km from the owner-driver’s home base. The principal contractor will need to provide a cartage rate schedule that will keep the owner-driver apprised of the dates of payment and the amount due. The variation sets out stricter rules of record-keeping, with the principal contractor obligated to keep written or electronic records of: cartage rate schedule, start and finish times, daily hours, distance travelled per day, start and finish place, trip schedules, driver roasters, risk assessment plans and reports, and breaches of fatigue management laws. It rules that principal contractors will not have the right to reduce rates or modify conditions simply because the interim determination is in force. The new rules also state that if the vehicle is being painted at the direction of the principal contractor then the owner-driver is to be compensated for the loss of remuneration. In addition to displaying a copy of the interim determination at their workplace, the principal contractor will be obligated to provide all owner-drivers a copy of the document within 14 days of its coming into effect. The new rules will be in effect from July 2 and remain in force until the second stage of legal proceedings, deliberating other key issues such as minimum hourly and kilometer rates, are completed. The changes come as a result of an application by the Transport Workers Union (TWU) calling for review and variations to the GCCD rules. The TWU’s application included a variation to the existing payment rates, which are currently determined on the basis of three key factors: age of the vehicle, carriage capacity and the type of vehicle. The determination does not currently specify a fixed standing or a fixed running rate.